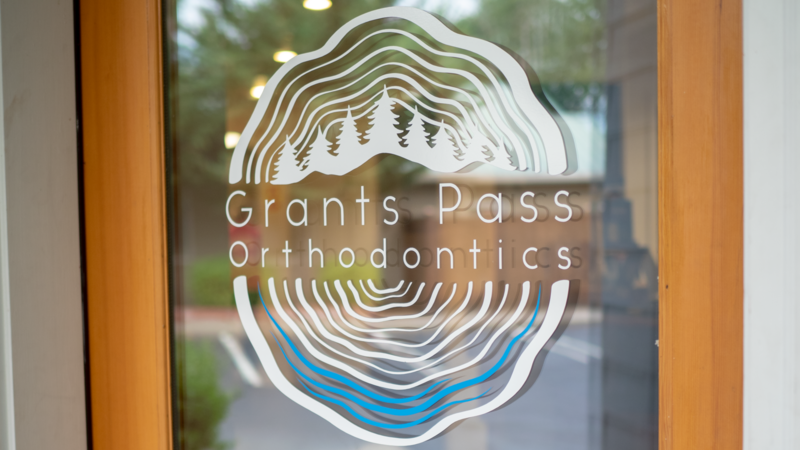 Our mission at Grants Pass Orthodontics is to create beautiful, healthful smiles in a caring environment where long-lasting relationships can be formed. We strive to give to every patient the best orthodontic care possible. Excellent orthodontic care to Dr. Matthews means two main things: Not only must the result be beautiful when speaking and smiling, but it must also be a healthy bite that functions well for a lifetime. Twenty years from now, we want our patients to walk back into our office with the same beautiful, healthful outcome they finished with. Every patient that comes to us for advice or treatment is important to us. We know that you have put yourself or your child into our hands, and we understand what a huge honor it is that we get to play a role in your development. We take pride in the idea that the smiles we create are not just from our braces, but from the confidence we nurture along the way. We also strive to make the process as comfortable as possible. Undergoing orthodontic treatment should be a pleasant experience, and while we cannot eliminate all aches and pains, we aim to improve the experience wherever we can. No two patients are alike; each patient has different teeth, distinct goals, and unique circumstances. Therefore, we strive to create treatments that fit the malocclusion, desires, and limitations of each patient. When you come to us for orthodontic treatment, we want to learn all about you so that together, we can determine the right course of action for you. Our patients come first. We will never push our patients into treatment they are not ready for, nor will we recommend treatment that is unnecessary. Our job is to assess the malocclusion, inform about the options, and educate about the risks, benefits, and alternatives to treatment. We have your interest at heart, and we stake our reputation on it.